Trade ServicesExpert, experienced and well-networked – all the solutions you need for business growth. Choose one for your business size, coverage or appetite for investment and growth. For exporters and importers (corporate/wholesale customers only), the Bank acts only as a Buyer's Bank, Seller's Bank or Submitting Bank in facilitating the submission of data as instructed herein and have no obligation to examine the documents or data beyond the exercise of reasonable care. The data may be provided through hard copy documents or other electronic means for the purpose of submission through SWIFT Trade Services Utility (TSU) application in respect of an underlying trade transaction. The Bank assumes no liability or responsibility for any consequences arising out of delay and/or loss in transit of any messages or other errors arising in the transmission or communication by TSU. Documentary Collection is a payment mechanism by which an exporter uses the services of banks to obtain payment from an importer. It provides a compromise between open account terms and payment in advance. Banks do not guarantee payment but only provide service to collect funds as instructed. Import Documentary Collection (also known as Inward Documentary Bill for Collection (IBC)) allows you to obtain the necessary commercial and financial documents before you make payment to your supplier. Documents are sent to the importer through the exporter's bank (remitting bank) to the importer's bank (collecting bank). Upon the collecting bank's receipt of documents, the collecting bank will deliver the documents to the importer against payment for sight bills or against acceptance for usance bills. The importer will be able to take possession of the goods with the custody of the documents acquired through payment or acceptance. RHB Bank is able to take on the roles of the remitting and collecting banks in this instance. Export Documentary Collection (also known as Outward Documentary Bill for Collection (OBC)) allows you to send your shipping documents through a remitting bank (exporter's bank) for onward transmission to the collecting bank (importer's bank). Your shipping documents will be delivered to the buyer upon payment of the sight bill or acceptance of the usance bill. Hence you will retain control of the goods until your buyer pays or accepts to pay at maturity of the bill. You may also require the collecting bank to avalise the drafts where the collecting bank will guarantee payment at maturity. RHB Bank is able to take on the roles of the remitting and collecting banks in this instance. RHB offers Enhanced Export Collection Services in addition to the existing efficient service to expedite receipt of export proceeds. RHB Bank has launched the Chinese Renminbi (RMB) Trade Products and Payment Services to cater for any Malaysian enterprises or companies who have trade related (import or export of goods) and services with Eligible Enterprises in Mainland China. Together with our Chinese partner banks, RHB Bank is now able to serve the local community in ensuring that they are able to access highly reliable and professional cross border settlement services to cater for any requirements of Malaysian individual and corporate customers who have dealings with their counterparts in Mainland China in RMB. With this announcement, any enterprise in the relevant provinces and cities in China can now settle their merchandise imports and service trade transaction in RMB, while an expanded list of Eligible Enterprises in China will be able to accept their merchandise exports in RMB. For Remittance of RMB, RHB Bank offers competitive foreign exchange rates, both in CNY and CNH. For further information on foreign exchange rates, please click here. For exporters (Corporate/Wholesale Customers Only), BPO Confirming Bank adds its undertaking to honour BPO subject to a Dataset Match submitted. The Confirming Bank therefore removes the risks of non-payment by the Obligor Bank and other risk associated with the country of the Obligor Bank. The BPO Confirming Bank guarantee payment of the BPO in the event the Obligor Bank fails to remit proceeds as per payment terms specified in the Bank Payment Obligation governed by ICC Uniform Rules for Bank Payment Obligations (URBPO) ICC Publication no 750. The bank shall guarantee payment of the BPO in the event the Obligor Bank fails to remit proceeds as per payment terms specified in the Payment Obligation Segment of an Established Baseline governed by ICC Uniform Rules for Bank Payment Obligations (URBPO) ICC Publication no 750. For exporters, RHB Bank facilitates your export transactions by advising Letter of Credits issued by your buyer's banks in your favour. Letters of Credit are advised to you promptly. RHB Bank's extensive network of correspondent agents allows us to authenticate and advise the same Letters of Credit in the most efficient manner. This ensures the authenticity of the Letter of Credit and enables the exporter to prepare for the shipment with confidence. If your buyer's bank is not our correspondent, we will arrange an agency arrangement to facilitate trade between your buyer and yourselves. Once received, RHB Bank will select the most expedient method of delivering the Letters of Credit to you. For exporters, Letters of Credit issued by unfamiliar banks located in unfamiliar regions may pose a risk to the exporter. Payments may not be guaranteed if the bank's credit worthiness is questionable or the bank is located in an unstable country. RHB Bank can help the exporter mitigate bank and country risks by adding confirmation to your Letter of Credit. Adding RHB Bank's confirmation to the Letter of Credit allows RHB Bank to guarantee payment to the exporter upon presentation of compliant documents. Therefore RHB Bank eliminates bank and country risk and the exporter is assured of payment at all times. For exporters, Silent Confirmation is a product where RHB Bank adds its payment guarantee to Letters of Credit, which does not require confirmation. Under this product, RHB Bank guarantees to pay the beneficiary in the event of non-payment by the Letter of Credit Issuing Bank upon presentation of compliant documents and shall be on without recourse basis to the beneficiary. The customer shall be required to present documents for negotiation or discounting similar to the existing Letter of Credit negotiation/discounting procedures. Standby Letter of Credit represents a simple form of security that does not require proof of non-performance or default from either parties. Standby Letter of Credit allows you to cover financial obligations to your beneficiary in the event of payment default after the beneficiary has secured due performance. Standby Letter of Credit represents a simple form of security to your beneficiary and does not require proof of non-performance other than a simple claim. Standby Letter of Credit is similar to a bank guarantee where the bank will guarantee payment in the event default, eliminating buyer's risk of non-payment. Standby Letter of Credit provides the beneficiary with assurance that payment will be received in the event of applicant default. Standby Letter of Credit represents a simple form of security to you and does not require proof of default other than a simple claim. It is similar to a bank guarantee where the bank will guarantee payment in the event of default, eliminating the buyer's risk of non-payment. 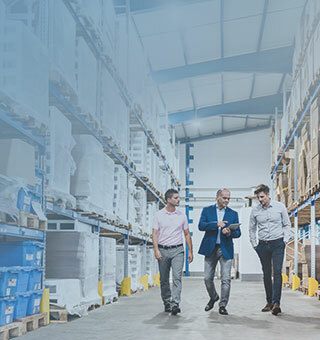 BBLC allows your supplier to secure delivery from the actual supplier, while allowing the exporter and middleman to purchase goods required in the Master LC. Back to Back Letter of Credit (BBLC) allows your supplier to secure the delivery of goods from the actual supplier. The BBLC (sometimes referred to as the Baby or Slave LC) is issued on the strength of the Master Letter of Credit (Master LC) issued by you and its terms differ in varying degrees from the Master LC. This allows greater flexibility and variation in terms and conditions compared to the Transferable Letter of Credit. BBLC allows you to purchase goods required in the Master LC from your ultimate supplier. The Slave LC will contain the salient points of the trade such as goods description and shipment details. However, the identity of the ultimate buyer and the actual purchase price will not be made known to the ultimate supplier. A Transferable Letter of Credit (TLC) is a Letter of Credit (LC) that specifically states it is transferable and may be made available in whole or in part to another beneficiary (second beneficiary) at the request of the beneficiary (first beneficiary). TLC allows your supplier (first beneficiary) to make available in part or in whole the TLC to one or more second beneficiaries. This enables your supplier to transfer part or all of his rights and obligations to the second beneficiary (actual supplier). The first beneficiary does not need to issue a Letter of Credit to the second beneficiary and only need to transfer the TLC, varying certain terms and conditions. Goods are shipped directly from the second beneficiary to the buyer in this instance. TLC allows you to make available in part or in whole the TLC to one or more second beneficiaries. Thus you will be able to free up your funds and credit facilities in fulfilling your duties as a middleman. This gives you added financial manoeuvrability. You will also be able to control the trade transaction better as amount, latest shipment date, expiry date and several other terms are changed. The second beneficiary also receives added comfort in receiving a TLC issued by a bank. As speed and accuracy are important elements in international trade settlements, the additional value-added services will enable customers to track the movements of the collection bill as well as improve their collection management. For exporters and middlemen, Assignment of Proceeds under Letter of Credit (AoPLC) is a service offered to Letter of Credit (LC) beneficiaries to assign their LC proceeds to the ultimate supplier. A request for an assignment of proceeds would take place when the beneficiary of the LC (i.e. a middleman in a trade transaction) is required to provide payment assurance to its ultimate supplier. This is an alternative to having the LC transferred or having to issue a back to back LC to the ultimate supplier. Benefits include being a cheaper and simpler alternative to effecting a Transfer Letter of Credit or Back to Back Letter of Credit.